Stay compliant with updates about the latest technology and information. Get them sent directly to your inbox by signing up now. UK-based Sparc Systems will launch Hera, a “loss-in-weight” depositor, at this year’s IFFA trade show in Frankfurt, May 4 – 9. 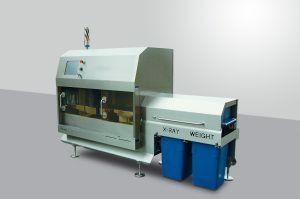 Having designed and delivered checkweighers, X-ray, label inspection and bespoke weighing systems for more than 40 years, the launch of Hera is a leap forward for the food production industry and its efforts to reduce wastage, the company claims. Hera is used to sprinkle free-flowing materials, such as powders, grains, nuts, peas and frozen vegetables by weight into, or onto, conveyored products. It reduces giveaway and accurate deposits ensure a reduction in overspill and the finished product has a consistent specification, taste and appearance. Daniel Frank, sales and commercial director for Sparc, said: “Hera is a world first. It’s the most accurate depositor of materials onto conveyored food there is. Deposit weights and variance can be automatically recorded and individual batch data delivered in real-time back to the customer’s database. “Given the automation, it ensures that wastage and labour are reduced dramatically. Only that which is needed is sprinkled in a “stop – start’ motion, which makes it unique. Sparc will be showcasing Hera alongside distributing partners Jansen Control Systems from The Netherlands, and UK-based Fortress Technology. 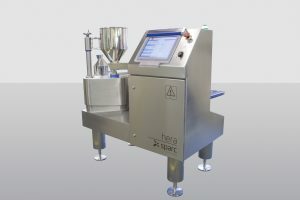 Hera can also be used as a “salt and cure” depositor for dry cured bacon systems and multiple Hera machines can be joined together to create a semi-automatic dosing system. Sparc invites all-comers to visit the stand at HALL 11.1, BOOTH C71 to see Hera in action or make an appointment with our team here.